USES: This combination medication is used to treat attention deficit hyperactivity disorder - ADHD. It works by changing the amounts of certain natural substances in the brain. Amphetamine/dextroamphetamine belongs to a class of drugs known as stimulants. It can help increase your ability to pay attention, stay focused on an activity, and control behavior problems. It may also help you to organize your tasks and improve listening skills. This drug is also used to treat a certain sleeping disorder (narcolepsy) to help you stay awake during the day. It should not be used to treat tiredness or to hold off sleep in people who do not have a sleep disorder. HOW TO USE: Read the Medication Guide provided by your pharmacist before you start taking amphetamine/dextroamphetamine and each time you get a refill. If you have any questions, ask your doctor or pharmacist. Take this medication by mouth with or without food as directed by your doctor, usually 1 to 3 times a day. The first dose is usually taken when you wake up in the morning. If more doses are prescribed, take them as directed by your doctor, usually 4-6 hours apart. Taking this medication late in the day may cause trouble sleeping (insomnia). The dosage is based on your medical condition and response to treatment. Your doctor may adjust your dose to find the dose that is best for you. Follow your doctor's instructions carefully. Use this medication regularly to get the most benefit from it. To help you remember, take it at the same time(s) each day. During treatment, your doctor may occasionally recommend stopping the medication for a short time to see whether there are any changes in your behavior and whether the medication is still needed. This medication may cause withdrawal reactions, especially if it has been used regularly for a long time or in high doses. In such cases, withdrawal symptoms (including severe tiredness, sleep problems, mental/mood changes such as depression) may occur if you suddenly stop using this medication. To prevent withdrawal reactions, your doctor may reduce your dose gradually. Consult your doctor or pharmacist for more details, and report any withdrawal reactions right away. Though it helps many people, this medication may sometimes cause addiction. This risk may be higher if you have a substance use disorder (such as overuse of or addiction to drugs/alcohol). Do not increase your dose, take it more often, or use it for a longer time than prescribed. Properly stop the medication when so directed. When this medication is used for a long time, it may not work as well. Talk with your doctor if this medication stops working well. Tell your doctor if your condition does not improve or if it worsens. WARNING: Misuse or abuse of amphetamine may cause serious (possibly fatal) heart and blood pressure problems. Amphetamine-type medications can be habit-forming. Use only as directed. If you use this drug for a long time, you may become dependent on it and may have withdrawal symptoms after stopping the drug. Consult your doctor or pharmacist for more details. (See also How to Use section). What if I miss a dose of Adderall? MISSED DOSE: If you miss a dose, take it as soon as you remember in the morning hours. If it is late in the afternoon or near the time of the next dose, skip the missed dose. Take your next dose at the regular time. Do not double the dose to catch up. SIDE EFFECTS: Loss of appetite, weight loss, dry mouth, stomach upset/pain, nausea/vomiting, dizziness, headache, diarrhea, fever, nervousness, and trouble sleeping may occur. If any of these effects persist or worsen, tell your doctor promptly. Remember that your doctor has prescribed this medication because he or she has judged that the benefit to you is greater than the risk of side effects. Many people using this medication do not have serious side effects. This medication may raise your blood pressure. Check your blood pressure regularly and tell your doctor if the results are high. Tell your doctor right away if you have any serious side effects, including: signs of blood flow problems in the fingers or toes (such as coldness, numbness, pain, or skin color changes), unusual wounds on the fingers or toes, mental/mood/behavior changes (such as agitation, aggression, mood swings, depression, abnormal thoughts, thoughts of suicide), uncontrolled movements, continuous chewing movements/teeth grinding, outbursts of words/sounds, change in sexual ability/desire, frequent/prolonged erections (in males). Get medical help right away if you have any very serious side effects, including: shortness of breath, chest/jaw/left arm pain, fainting, severe headache, fast/pounding/irregular heartbeat, seizures, swelling of the ankles/feet, extreme tiredness, blurred vision, weakness on one side of the body, slurred speech, confusion. This medication may increase serotonin and rarely cause a very serious condition called serotonin syndrome/toxicity. The risk increases if you are also taking other drugs that increase serotonin, so tell your doctor or pharmacist of all the drugs you take (see Drug Interactions section). Get medical help right away if you develop some of the following symptoms: fast heartbeat, hallucinations, loss of coordination, severe dizziness, severe nausea/vomiting/diarrhea, twitching muscles, unexplained fever, unusual agitation/restlessness. A very serious allergic reaction to this drug is rare. However, get medical help right away if you notice any symptoms of a serious allergic reaction, including: rash, itching/swelling (especially of the face/tongue/throat), severe dizziness, trouble breathing. This is not a complete list of possible side effects. If you notice other effects not listed above, contact your doctor or pharmacist. In the US - Call your doctor for medical advice about side effects. You may report side effects to FDA at 1-800-FDA-1088 or at www.fda.gov/medwatch. In Canada - Call your doctor for medical advice about side effects. You may report side effects to Health Canada at 1-866-234-2345. DRUG INTERACTIONS: Drug interactions may change how your medications work or increase your risk for serious side effects. This document does not contain all possible drug interactions. Keep a list of all the products you use (including prescription/nonprescription drugs and herbal products) and share it with your doctor and pharmacist. Do not start, stop, or change the dosage of any medicines without your doctor's approval. Taking MAO inhibitors with this medication may cause a serious (possibly fatal) drug interaction. Avoid taking MAO inhibitors (isocarboxazid, linezolid, methylene blue, moclobemide, phenelzine, procarbazine, rasagiline, safinamide, selegiline, tranylcypromine) during treatment with this medication. Most MAO inhibitors should also not be taken for two weeks before treatment with this medication. Ask your doctor when to start or stop taking this medication. Some products have ingredients that could raise your heart rate or blood pressure. Tell your pharmacist what products you are using, and ask how to use them safely (especially cough-and-cold products or diet aids). The risk of serotonin syndrome/toxicity increases if you are also taking other drugs that increase serotonin. Examples include street drugs such as MDMA/ "ecstasy," St. John's wort, certain antidepressants (including SSRIs such as fluoxetine/paroxetine, SNRIs such as duloxetine/venlafaxine), among others. The risk of serotonin syndrome/toxicity may be more likely when you start or increase the dose of these drugs. Dextroamphetamine is very similar to lisdexamfetamine. Do not use medications containing lisdexamfetamine while using dextroamphetamine. This medication may interfere with certain medical/laboratory tests (including blood and urine steroid levels, brain scan for Parkinson's disease), possibly causing false test results. Make sure laboratory personnel and all your doctors know you use this drug. PRECAUTIONS: Before taking this medication, tell your doctor or pharmacist if you are allergic to it; or to other sympathomimetic drugs (such as lisdexamfetamine); or if you have any other allergies. This product may contain inactive ingredients, which can cause allergic reactions or other problems. Talk to your pharmacist for more details. Before using this medication, tell your doctor or pharmacist your medical history, especially of: blood circulation problems (such as Raynaud's disease), certain mental/mood conditions (such as severe agitation, psychosis), personal/family history of mental/mood disorders (such as bipolar disorder, depression, psychotic disorder, suicidal thoughts), heart problems (including irregular heartbeat/rhythm, coronary artery disease, heart failure, cardiomyopathy, problems with the heart structure such as valve problems), family history of heart problems (such as sudden death/irregular heartbeat/rhythm), history of stroke, high blood pressure, overactive thyroid (hyperthyroidism), a certain eye problem (glaucoma), seizures, personal or family history of a substance use disorder (such as overuse of or addiction to drugs/alcohol), personal or family history of uncontrolled muscle movements (such as Tourette's syndrome), kidney disease, liver disease. This drug may make you dizzy. Alcohol or marijuana (cannabis) can make you more dizzy. Do not drive, use machinery, or do anything that needs alertness until you can do it safely. Limit alcoholic beverages. Talk to your doctor if you are using marijuana (cannabis). Before having surgery, tell your doctor or dentist about all the products you use (including prescription drugs, nonprescription drugs, and herbal products). Children may be more sensitive to the side effects of this drug, especially weight loss. This medication may slow down a child's growth. The doctor may recommend temporarily stopping the medication from time to time to reduce this risk. Monitor your child's weight and height. Consult your doctor or pharmacist for more details. Older adults may be more sensitive to the side effects of this drug, especially chest pain, trouble sleeping, or weight loss. During pregnancy, this medication should be used only when clearly needed. Discuss the risks and benefits with your doctor. Infants born to mothers who are dependent on this medication may be born too soon (premature) and have low birth weight. They may also have withdrawal symptoms. Tell your doctor right away if you notice possible mood changes, agitation, or unusual tiredness in your newborn. This medication passes into breast milk and may have undesirable effects on a nursing infant. Therefore, breast-feeding is not recommended while using this drug. Consult your doctor before breast-feeding. Commonly used to treat Binge Eating Disorder, attention-deficit hyperactivity disorder (ADHD). Commonly used to treat ADHD, narcolepsy. Commonly used to treat attention-deficit hyperactivity disorder (ADHD), narcolepsy. Commonly used to treat attention-deficit hyperactivity disorder (ADHD), weight loss, narcolepsy. Commonly used to treat attention-deficit hyperactivity disorder (ADHD), weight loss. Commonly used to treat narcolepsy. If you need to take prescription medication such as Adderall over an extended period, buying a larger quantity could save you time and money. Many drugs, including Adderall work out cheaper per pill or dose when purchased in volume. Speak to your doctor about increasing the your prescription and you could pay less for drugs and need fewer trips to the pharmacist. Drug prices are not regulated, so the price Adderall of medication may vary significantly between your local pharmacies. Online pharmacy comparison shopping is the simplest way to quickly discover which retailer has the lowest prices for your prescriptions. 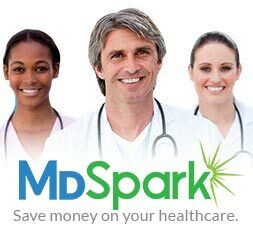 Enter the name of your prescription, for example Adderall, into the search box, add the zip code and click to browse prices and coupon offers. When you have found the cheapest price, print or save the coupon and and take it in to your chosen pharmacy. Comparing prices can save you up to 75 percent on your prescriptions. Patient assistance programs offered by drug manufacturers can help you save money on your prescriptions. Many drug manufacturers have such a program, offering discounts to eligible patients who are prescribed Adderall. Patients prescribed expensive or branded medication may qualify for discounts through such programs. Adderall and other branded drugs often have a generic equivalent on the market at a significantly lower price. Generics account for around 8 out of 10 prescriptions filled in the US and are identical their brand name counterparts in quality, safety, strength, dosage form, route of administration, performance characteristics and intended use. Talk to your pharmacist or doctor about safe generic alternatives to your branded prescription. Seniors with Medicare Part D may be entitled to discounts on Adderall and other prescriptions through their policy. The list of drugs covered varies from plan to plan, so check your provider’s website for more information.